It’s common for homeowners to look for the best exterminator in Monmouth County to stop rodents from damaging their homes, but what about their cars? Newer wiring in some cars might attract these pests. 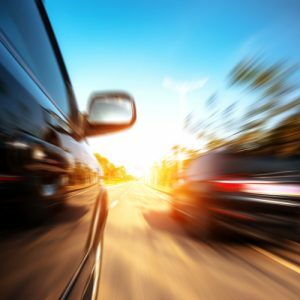 Soy-based wiring insulation for newer cars has been developed as a biodegradable option that won’t clutter up landfills. While this is a more eco-friendly option, there might be one big drawback to it. Rodents, including mice and squirrels, appear to have a taste for this new wiring. That has led to occurrences of these pests chewing up car wiring, eating it and building nests in fresh air intakes. This can create a hazardous situation for car owners in NJ. If you have a car with this kind of wiring, how can you stop rodents from chewing it up? Rodent deterrent products, such as mothballs, and anti-rodent tape for wiring can help protect your car from costly damage caused by rodents. Keep in mind that you should also have rodents dealt with as soon as possible if you do find evidence of an infestation in your car. Otherwise, they can keep returning to your car and causing more damage to it. If you need the services of the best exterminator in Monmouth County for a rodent problem, call Allison Pest Control. We offer dependable and safe rodent removal. You can catch this type of food poisoning if you’re exposed to the feces of rats or mice. If you do get this illness, you might have symptoms that range from mild to severe, including diarrhea, abdominal pain and a fever. In serious cases, salmonellosis requires hospitalization in order to treat complications. 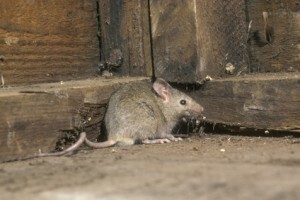 Hantavirus mainly occurs in the southwestern U.S. White-footed deer mice are able to spread this serious illness to humans through their urine, saliva or droppings. Symptoms include muscle soreness, fever, fatigue, dizziness, abdominal issues, headaches and chills. This is another potentially life-threatening illness that rats transmit to humans. Common symptoms, which start to show up between three and ten days after you’re exposed to infected rats or contaminated food, include headaches, vomiting, fever and rash. When you have rats or mice in your home, you need help from the best exterminator in Wall. Get in touch with Allison Pest Control to learn more about our rodent control services. When you have rodents on your commercial property, you need help from the best NJ exterminator to get rid of them. Mice and rats can be a public health hazard, since they are able to spread disease. They can also damage your building and contaminate food supplies. If you haven’t had a problem with these pests, it’s important to take steps to prevent them. Use the following rodent prevention tips to help. These provide rodents with ideal places to breed, which means an even bigger infestation. Have leaky pipes and clogged drains fixed, and don’t leave any water standing around. Rodents can easily get inside your business through these entry points. If you notice any of these openings, seal them up with caulk. Mice and rats can squeeze through rips and tears in door and window screens. Replace any that are damaged with brand new ones. If your business has a kitchen or other area where food is eaten or stored, make sure it’s left in airtight containers and don’t leave any crumbs around. Check boxes and other packages for mice or rats. 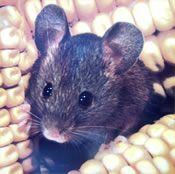 If you see mice or rats in your NJ business, please contact Allison Pest Control right away. You can count on the best NJ exterminator to eradicate these pests from your property. Rodents are common nuisances that keep pest control companies in Freehold busy each fall. During this time of year, these critters try to find their way inside homes for warmth, shelter, and food. These are some of the rodents you’re likely to see in NJ during fall. • Deer mice: These mice usually aren’t a problem inside homes, but they can invade sheds and other outdoor buildings. Deer mice carry the Hantavirus, which can cause serious illness in humans. • House mice: These grayish mice are a few inches long and able to reproduce at a fast rate, leading to infestations that are tough to deal with. They can get into food supplies and damage homes by chewing wood and wires. They’re the most common rodent pests in the U.S.
• Norway rats: These large rats can grow to be nine inches long or even longer. They have shorter tails, smaller ears and smaller eyes than other rats. 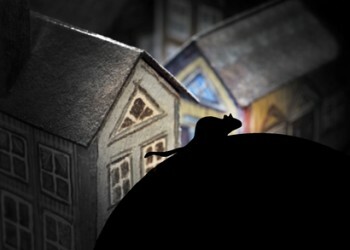 Norway rats can damage homes with their gnawing. • Roof rats: These black rats tend to be found in the upper areas of homes and other buildings. They have tails that are roughly as long as their bodies, as well as large eyes and ears. If rodents have made their way into your home, call Allison Pest Control for help. As one of the top pest control companies in Freehold, we can get rid of these pests quickly and efficiently.